Numerous studies have shown an epidemiological link between meat consumption and the incidence of cancer, and it has been suggested that this relationship may be motivated by the presence of carcinogenic contaminants on it. 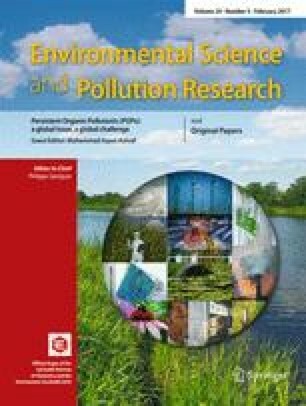 Among the most frequently detected contaminants in meat are several types of persistent organic pollutants (POPs), and it is well known that many of them are carcinogenic. On the other hand, an increasing number of consumers choose to feed on what are perceived as healthier foods. Thus, the number of consumers of organic food is growing. However, environmental contamination by POPs is ubiquitous, and it is therefore unlikely that the practices of organic food production are able to prevent this contamination. To test this hypothesis, we acquired 76 samples of meat (beef, chicken, and lamb) of two modes of production (organic and conventional) and quantified their levels of 33 carcinogenic POPs. On this basis, we determined the human meat-related daily dietary exposure to these carcinogens using as a model a population with a high consumption of meat, such as the Spanish population. The maximum allowable meat consumption for this population and the carcinogenic risk quotients associated with the current pattern of consumption were calculated. As expected, no sample was completely free of carcinogenic contaminants, and the differences between organically and conventionally produced meats were minimal. According to these results, the current pattern of meat consumption exceeded the maximum limits, which are set according to the levels of contaminations, and this is associated with a relevant carcinogenic risk. Strikingly, the consumption of organically produced meat does not diminish this carcinogenic risk, but on the contrary, it seems to be even higher, especially that associated with lamb consumption. This study has been supported by Programa Innova Canarias 2020 from Fundación Universitaria de Las Palmas (FULP). The authors thank Mrs. María de los Reyes Suárez Hanna for her technical assistance. There are no actual or potential conflicts of interest to declare for any author.